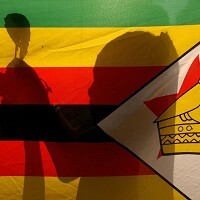 Typhoid cases have risen in parts of Zimbabwean capital Harare amid reports that some residents are no longer shaking hands for fear of contracting the disease. The bacterial disease is caused by ingesting food and water contaminated by an infected person - with shaking hands also widely believed to be another way the disease can be transmitted. It is a reminder that disease can strike anyone, anywhere - and it makes sense to have the proper worldwide travel insurance cover . Almost 800 cases of typhoid have been recorded since the outbreak began, according to Harare City Council. The director health services Prosper Chonzi said: "We are busy tracking patients who were treated at other health centres to establish their contacts and also test them for typhoid. The situation is serious and we now want partners to come and help us out." In Kuwandzana, 15 people were being treated at a makeshift tent shelter erected at the local clinic, set up especially for typhoid patients. Incoming patients are also given instructions on necessary procedures at the entrance by a dedicated healthcare officer.